2019 Porsche Cayenne in Quartzite Grey Metallic All-Wheel Drive, 8-Speed Automatic with Tiptronic S, 3.0L Turbocharged V6, Leather interior in Black. Included Options: Trailer hitch without tow ball, Quartzite Grey Metallic, Standard Interior in Black, Premium Package. 2019 Porsche Cayenne in Jet Black Metallic All-Wheel Drive, 8-Speed Automatic with Tiptronic, 3.0L Turbocharged V6, Leather interior in Black / Mojave Beige. Included Options: Jet Black Metallic, Steering Wheel Heating, Roof Rails in High Gloss Black, 20" Cayenne Design Wheels, Adaptive Cruise Control (ACC), Smoking Package, Premium Package i.c.w. 14-way Power Seats w/ Memory, Window Trim in High Gloss Black, Standard Interior in Black/Mojave Beige. 2019 Porsche Cayenne in Moonlight Blue Metallic All-Wheel Drive, 8-Speed Automatic with Tiptronic, 3.0L Turbocharged V6, Leather interior in Slate Gray. Included Options: Trailer hitch without tow ball, Wheel Center Caps with Colored Porsche Crest, Roof Rails in Satin Aluminum, 20" Cayenne Design Wheels, Seat Ventilation (Front), Heated Windshield, Compass Display, Moonlight Blue Metallic, ParkAssist (Front and Rear) incl. Surround View, Premium Package, Standard Interior in Slate Grey. Recent Arrival! 2019 Porsche Cayenne in Quartzite Gray Metallic All-Wheel Drive, 8-Speed Automatic with Tiptronic, 3.0L Turbocharged V6, Leather interior in Black. Included Options: Quartzite Grey Metallic, 21" Cayenne Exclusive Design Wheels, Seat Ventilation (Front), Exterior Mirrors Painted in Exterior Color, Standard Interior in Black, ParkAssist (Front and Rear) incl. Surround View, Premium Package i.c.w. 14-way Power Seats w/ Memory. Recent Arrival! 2019 Porsche Cayenne in Black All-Wheel Drives, 8-Speed Automatic with Tiptronic S, 3.0L Turbocharged V6, Leather interior in Black. Included Options: Trailer hitch without tow ball, Steering Wheel Heating, Roof Rails in High Gloss Black, 21" RS Spyder Design Wheels incl. Wheel Arch Extensions in Exterior Color, Black, Standard Interior in Black, Premium Package Plus i.c.w. 14-way Power Seats w/ Memory, Window Trim in High Gloss Black. 2019 Porsche Cayenne in White All-Wheel Drive, 8-Speed Automatic with Tiptronic, 3.0L Turbocharged V6, Leather interior in Black / Mojave Beige. Included Options: Deletion of Model Logo, White, Trailer hitch without tow ball, Steering Wheel Heating, 21" RS Spyder Design Wheels incl. Wheel Arch Extensions in Exterior Color, Dark Walnut Interior Package, Premium Package Plus i.c.w. 14-way Power Seats w/ Memory, Window Trim in High Gloss Black, Standard Interior in Black/Mojave Beige. 2019 Porsche Cayenne in Purpurite Metallic All-Wheel Drive, 8-Speed Automatic with Tiptronic, 3.0L Turbocharged V6, Leather interior in Slate Gray. Included Options: Trailer hitch without tow ball, Steering Wheel Heating, Roof Rails in High Gloss Black, 21" RS Spyder Design Wheels incl. Wheel Arch Extensions in Exterior Color, Heated Windshield, Purpurite Metallic, Premium Package Plus, Window Trim in High Gloss Black, Standard Interior in Slate Grey. 2019 Porsche Cayenne in Moonlight Blue Metallic All-Wheel Drive, 8-Speed Automatic with Tiptronic S, 3.0L Turbocharged V6, Leather interior in Black / Mojave Beige. Included Options: Wheel Center Caps with Colored Porsche Crest, Heated Multifunction Steering Wheel in Dark Walnut, Roof Rails in Satin Aluminum, 20" Cayenne Design Wheels, Heated Windshield, Interior Trim in Dark Walnut, Adaptive Cruise Control (ACC), Moonlight Blue Metallic, Premium Package Plus i.c.w. 14-way Power Seats w/ Memory, Standard Interior in Black/Mojave Beige. 2019 Porsche Cayenne in Jet Black Metallic All-Wheel Drive, 8-Speed Automatic with Tiptronic, 3.0L Turbocharged V6, Leather interior in Black. Included Options: Trailer hitch without tow ball, Jet Black Metallic, Roof Rails in High Gloss Black, 21" RS Spyder Design Wheels incl. Wheel Arch Extensions in Exterior Color, Adaptive Cruise Control (ACC), Standard Interior in Black, Premium Package Plus i.c.w. 14-way Power Seats w/ Memory, Window Trim in High Gloss Black. Recent Arrival! 2019 Porsche Cayenne in Rhodium Silver Metallic All-Wheel Drive, 8-Speed Automatic with Tiptronic, 3.0L Turbocharged V6, Leather interior in Slate Gray. Included Options: Trailer hitch without tow ball, Steering Wheel Heating, Roof Rails in Satin Aluminum, 19" Cayenne S Wheels, Heated Windshield, Adaptive Cruise Control (ACC), Smartphone Compartment, Head-Up Display, Premium Package Plus i.c.w. 14-way Power Seats w/ Memory, Standard Interior in Slate Grey, Rhodium Silver Metallic. 2019 Porsche Cayenne in Jet Black Metallic All-Wheel Drive, 8-Speed Automatic with Tiptronic S, 3.0L Turbocharged V6, Leather Interior in Black / Bordeaux Red. Included Options: Trailer hitch without tow ball, Jet Black Metallic, Steering Wheel Heating, Roof Rails in High Gloss Black, 21" RS Spyder Design Wheels incl. Wheel Arch Extensions in Exterior Color, Leather Interior in Black/Bordeaux Red, Premium Package Plus i.c.w. 14-way Power Seats w/ Memory, Window Trim in High Gloss Black. 2019 Porsche Cayenne S in Jet Black Metallic All-Wheel Drive, 8-Speed Automatic with Tiptronic, 2.9L Twin-turbocharged V6, Leather interior in Black. Included Options: Jet Black Metallic, Steering Wheel Heating, Roof Rails in Aluminum Finish, Power Sunblind for Rear Side Windows, 20" Cayenne Design Wheels, Seat Ventilation (Front), Standard Interior in Black, Soft Close Doors, Premium Package i.c.w. 14-way Power Seats w/ Memory. 2019 Porsche Cayenne S in Moonlight Blue Metallic All-Wheel Drive, 8-Speed Automatic with Tiptronic, 2.9L Twin-turbocharged V6, Leather Interior in Black/Mojave Beige. Included Options: Trailer hitch without tow ball, Steering Wheel Heating, Roof Rails in Satin Aluminum, Heated Windshield, Moonlight Blue Metallic, Premium Package Plus i.c.w. 14-way Power Seats w/ Memory, Standard Interior in Black/Mojave Beige. Recent Arrival! 2019 Porsche Cayenne S in Rhodium Silver Metallic All-Wheel Drive, 8-Speed Automatic with Tiptronic, 2.9L Twin-turbocharged V6, Leather interior in Black. Included Options: Sport Exhaust System incl. Tailpipes in Silver, Trailer hitch without tow ball, Wheel Center Caps with Colored Porsche Crest, 20" Cayenne Design Wheels, Roof Rails in Satin Aluminum incl. 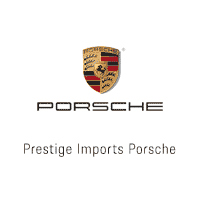 Roof Transport System, Porsche Crest on Headrests (front and rear), Sport Chrono Package, Tinted Taillights, Smartphone Compartment, Standard Interior in Black, Premium Package i.c.w. 14-way Power Seats w/ Memory, Rhodium Silver Metallic. Recent Arrival!